The panel will discuss their recent experiences preparing, searching, applying, and interviewing on the academic job market. Each panelist will offer a unique perspective for landing jobs at an R1 institution to a primarily undergraduate university (PUI) or small liberal arts college (SLAC). Look for more details on Facebook and find the registration link in GWIS Empower later this month! Gina Moreno is an Assistant Professor of Psychology at the University of Houston-Clear Lake. Originally from Houston, Texas, Gina graduated with a Ph.D. in Neuroscience from the University of Iowa in 2015. She was then a post-doctoral fellow in the Postdoctoral and Transition Program for Academic Diversity at New York University in the Department of Psychology. Her research investigates how decision making changes across the lifespan, how stress may modify the relationship between decision making and aging, and the underlying neural mechanisms related to these processes. Gina is currently involved in various diversity initiatives and is dedicated to promoting women in science. Gina has been involved with GWIS for many years at both the local chapter and national level. 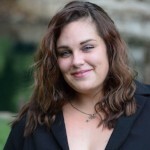 Previously, Gina served as National Liaison and founding member of the GWIS Iowa City chapter (2014-2015) and Connect Committee Co-chair (2016-2017). Gina is currently serving as a national at-large representative (2014-present) and the vice president. 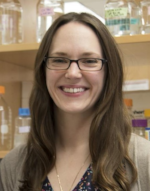 Allison Didychuk is a postdoctoral fellow at the University of California, Berkeley. Originally from Canada, she received her B.S. from University of Jamestown (North Dakota) in 2012 and received her Ph.D. in Biophysics from the University of Wisconsin-Madison in December 2017. Her research focuses on how human oncogenic viruses hijack gene expression using molecular mimicry. She has been a member of GWIS since 2013 and has served as National Treasurer since 2016. Megan Dowdle is a 5th Year Graduate Student in the Department of Biomolecular Chemistry at the University of Wisconsin-Madison. Her graduate work has focused on an RNA-binding protein called Bicaudal-C, which functions as a translational repressor. She has been a member of GWIS since 2015. In the Madison Chapter, Megan has served as President (2017-Present), Vice President (2016-2017), and Social Media Coordinator (2015-2016). Aayushi is originally from India and moved to the United States for Graduate school. She completed her Ph.D. studying papillomaviruses at the University of Wisconsin-Madison in the laboratory of Dr. Paul Lambert. Aayushi is now starting a postdoctoral position in the laboratory of Dr. Elizabeth Grice at University of Pennsylvania to explore the skin microbiome. Broadly, Aayushi’s research is geared towards understanding how host biology contributes towards skin diseases. During graduate school, she was an HHMI teaching fellow and developed inquiry-based courses for freshman undergraduate students. She also collaborated with WINSTEP-Forward to develop a short-term summer course for visiting undergraduate scholars visiting the U.S. to conduct summer research. During graduate school, Aayushi was a part of the Beta-chapter at UW-Madison and is now a part of the international chapter. She is passionate about advancing the careers of women worldwide and looks forward to creating opportunities for GWIS members. 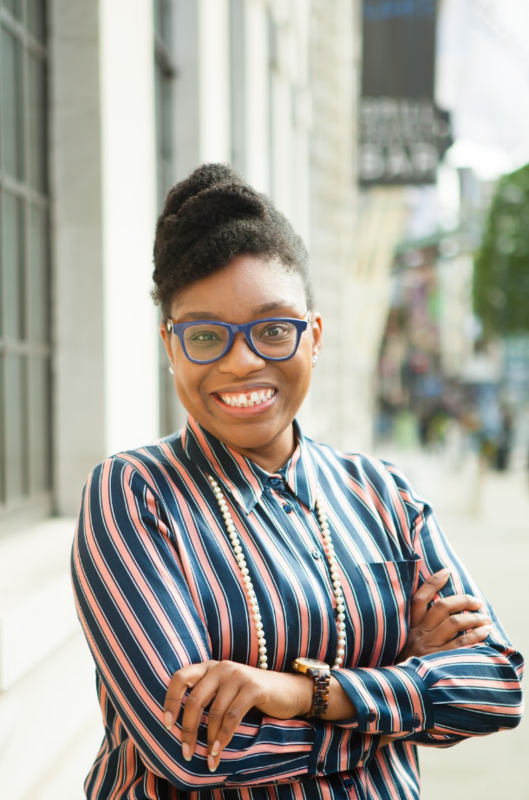 Danielle Lovell Jones is an accomplished social impact designer. With over 15 years in nonprofit, Danielle has a wealth of knowledge in the realms of organizational strategic development, branding, messaging and financial structuring. And she is a longstanding advisor for nonprofits and social enterprises internationally working on a diverse range of topics from education and healthcare to social justice and civil rights. She speaks and writes extensively on social impact strategy, racial and gender equity, and organizational wellness. Danielle has been an advisor for high impact organizations, fortune 500 corporations, and high visibility individuals. Danielle is a graduate of Harvard University and Georgetown Law Center. Brooke Long was born and raised in New Orleans, Louisiana. She is a Ph.D. Candidate at the South Dakota School of Mines and Technology (SD Mines), with an anticipated graduation date of May 2019. She has a MS in Paleontology from SD Mines and a Bachelors in Geology from Texas Christian University (TCU). Brooke was first introduced to GWIS at the annual meeting in 2017 in Sioux Falls, SD. After this meeting, she helped form the Black Hills chapter, located in Rapid City, SD. She has experience in executive roles as the Vice President of the Black Hills chapter of GWIS, President of the SD Mines student chapter of AWG, and as the President of the SD Mines Graduate Student Society. 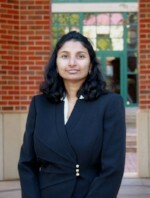 Vedenjali Gogineni graduated with a Master’s Degree in Pharmaceutical Chemistry from Fairleigh Dickinson University and a Ph.D. in Medicinal Chemistry from the University of Mississippi. Her research was focused on the isolation, synthesis, and structural elucidation of secondary metabolites from psychoactive medicinal plants for the treatment of neurological disorders. Currently, she works as a AD Tech III Chemist at Cambrex Pharmaceuticals Inc., in Charles City, IA. Ana Torres-Hernandez’s main motivation is to do research in the field of Computational Chemistry of Materials for Energy Storage and Heterogeneous Catalysis. She has 9 years of experience in Theoretical Chemistry. Ana obtained the B.Sc. and M.Sc. degrees in Chemistry with honors from the School of Chemistry of the National Autonomous University of Mexico. She got her Ph.D. with honors in Chemistry from the Materials Research Institute at the same institution. Her field of expertise extends from multireference ab-initio methods for mechanistic studies of organometallic catalytic reactions to theoretical studies on nanostructures and polymers for establishing fundamental structure-properties relationships. At present, Ana is a research scholar (postdoctoral researcher) in the Department of Chemical Engineering in Texas A&M University within the group of Prof. Perla Balbuena. Her current project is on the effects of nano-confinement on the reactivity of small molecules and their applications to interfacial phenomena relevant to battery materials. Ana was honored as a 2016 Lindau alumna from Mexico. Presently, she is participating as a mentor of young women from Latin America as part of the SEP-OCDE and Mexico-USA foundation girls in STEM programs. She is the co-founder of the Lindau former students from Mexico network and a member of ACS and Toastmasters International. 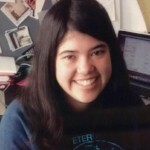 Ana enjoys biking and sharing Bible Studies with international students. Nikki received a B.S. in Psychology from the University of Wisconsin in Green Bay, a M.A. in Psychology from Northern Arizona University, and a M.S. in Experimental Psychology from OSU. She joined OSU as a graduate student in experimental psychology in the fall of 2015 in pursuit of a Ph.D. Her primary research interest is the interplay between the stress response and eating behavior, as well as the interaction between the stress response and immune system reactivity. Alice Vo Edwards is the Co-Founder of Alerive where she helps to create classes for leadership and employee training to international audiences and is working to automate her employee wellbeing survey so that it can provide customized recommendations to employees using AI. She has consulted with, taught classes for, held board or committee roles with, and volunteered with nonprofits including Lift Up Vegas, The Happiness Alliance, Poetry Promise, Dress for Success and Jump$tart Nevada. 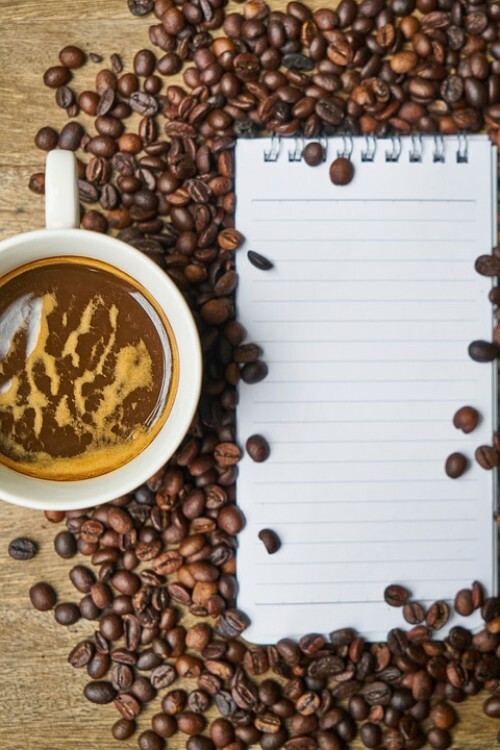 Alice has published some of her ideas for research projects on ResearchGate since she believes in open sharing of ideas to inspire others. She is also presenting a paper on organizational wellbeing at ISQOLS this year. Alice is completing her Ph.D. in Industrial/Organizational Psychology at Walden University and is passionate about using psychology and analytics to understand how to increase organizational performance while helping create sustainable, mentally healthy work environments. Her work is inspired and influenced by more than 15 years supporting organizations in managerial capacities. Her personal goal is that, through her work in research, education, and advocacy, she will be able to contribute to improving the lives of millions of people around the world. Her interests are varied and include business, entrepreneurship, productivity, motivation, turnover, stress, workplace culture, diversity, wellbeing, mental health, and impediments to women achieving equal success in the workplace, beginning with education and access to resources from a young age. Election ballots will be sent out to Chapter Presidents and Liaisons in May. For more information on GWIS Leadership, please visit our website or follow the link below. 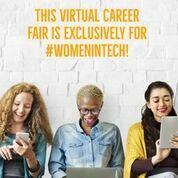 Fairygodboss is hosting a virtual career fair for women in tech on April 18. They will be joined by employers looking to hire women for roles such as product managers, frontend and backend engineers, visual designers, and data scientists, among others. Join Us for Diverse Science in Iowa City this Summer! Registration is OPEN! 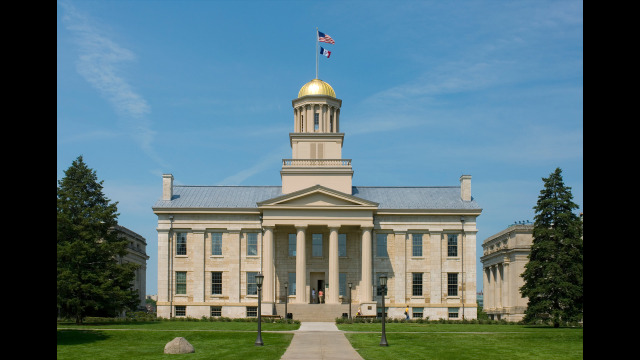 T he Iowa City Chapter will be hosting the GWIS annual business meetings on Friday and Saturday, June 15th and 16th, as well as a scientific conference on Saturday, June 16th. The conference theme is "Diverse Science" and will include a workshop, a panel session, a poster session for undergraduate and graduate students, a banquet dinner, and an amazing keynote speaker (announcement coming soon!). REGISTER HERE! Just select the events that you want to attend and pay via credit card or check. You are welcome to attend all events! The business meetings and conference will take place at the Iowa Memorial Union, 125 N Madison St., Iowa City, IA 52245 and we've reserved a block of River view rooms at the Iowa House Hotel, which is conveniently in the same building as the conference. Book a room online or by phone and use code 3595 for our special discount of $95 per night. Interested in finding a roommate to split the room? Email clark@gwis.org! 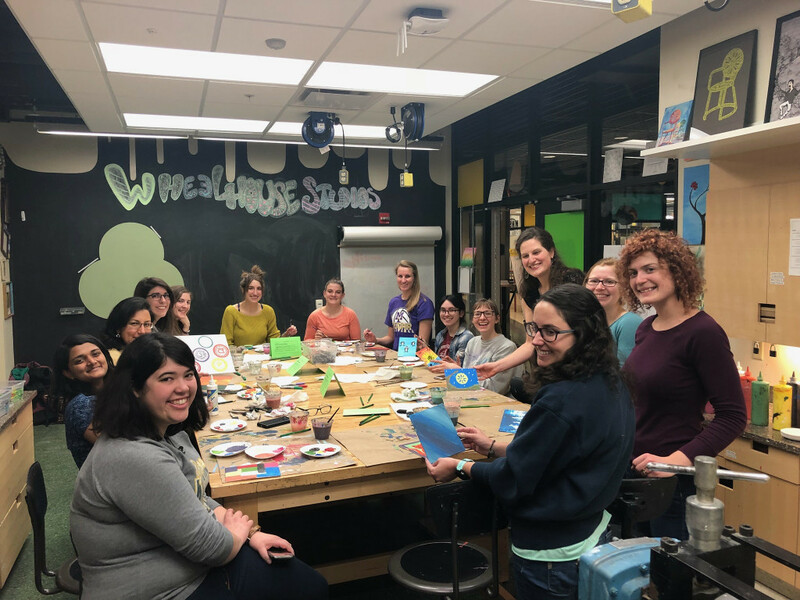 We are looking forward to welcoming GWIS members and friends to Iowa City! The Mid-Michigan Chapter co-hosted the Middle School Girls Math and Science Day in March. 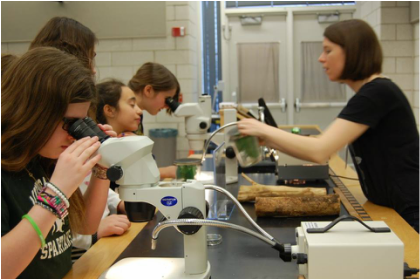 This free event was an opportunity for middle school girls to try science demos and games while working with enthusiastic and knowledgeable science students and researchers at Michigan State University. It was a fun and successful event with over 120 girls showed up for the event! Women in STEM mentorship program. Sponsored by Women to Women Mentoring, Inc. Frederick County. Contact Tonya for more info. April, date TBD, Social Event and Call for Officer Nomination for 2018-2019 fiscal year. If interested, contact chapter or visit website to learn more. May, date TBD, hiring fair with technology-focused, web- or mobile-based companies. Hosted by AnitaB. Free to attend. Register here. April 13th, 6:00-8:00 pm, Undergraduate Mentoring Committee Social. MSU Museum 409 W. Circle Drive, East Lansing. April 27th, 4:00-5:30 pm, Why am I here? A questionable Talk by Lego Grad Student. Freeman Auditorium. April 7th, Volunteer with GWIS at the UW-Madison Science Expeditions. More info to come. April 10th, 5:00 pm, Book Club: Algorithms to Live By: Computer Science of Human. University of Hawai‘i at Mānoa, St. John Plant Laboratory Rm 400. April 21st, 7:00 am, Girls on The Run Spring 5K. Ala Moana Beach Park. Whatsapp Group. The WhatsApp app, available for computers and smart phones, will allow International chapter to connect with other members in real time to ask questions of officers, find out about funding opportunities, ask for guidance with applications, find fellow members in the same scientific field and/or region of the world. If interested in participating in this group, please send an email to International Chapter president Susan Fetics with the subject “Whatsapp for International”.